IMPORTANT! Anyone with congenital heart disease, repaired or non-repaired, should consult with their cardiologist about physical activity to review the risks. There are two different forms of physical activity, which have different effects on the cardiovascular system. 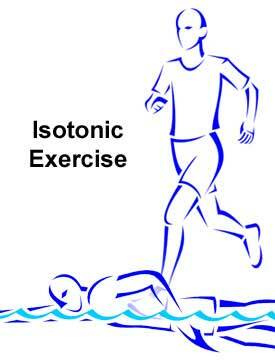 Exercise that involves the rapid movement of limbs, such as running, swimming, and jumping, is termed isotonic. This increases heart rate, oxygen consumption, cardiac output, and systolic blood pressure. Diastolic blood pressure may even fall during this kind of exercise. The other kind of physical exercise, involving load bearing or maintaining a specific posture without very much movement of the limbs (e. g. weightlifting, downhill skiing, the exertions of childbirth), is called isometric exercise. This kind of activity has little effect on oxygen consumption or cardiac output, but may cause a sudden increase in blood pressure. This makes it especially dangerous for patients with certain forms of congenital heart disease.